The Diabetes Foundation of Mississippi is here to help make the transition from diagnosis of diabetes to part of daily life as smooth as possible. 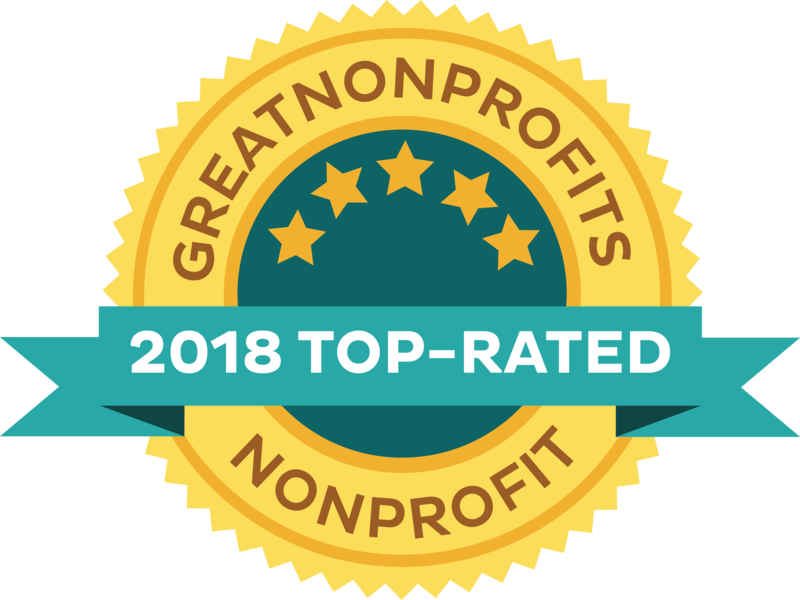 We are here to help educate schools, daycares, and work places to become more aware of the needs of those with diabetes. 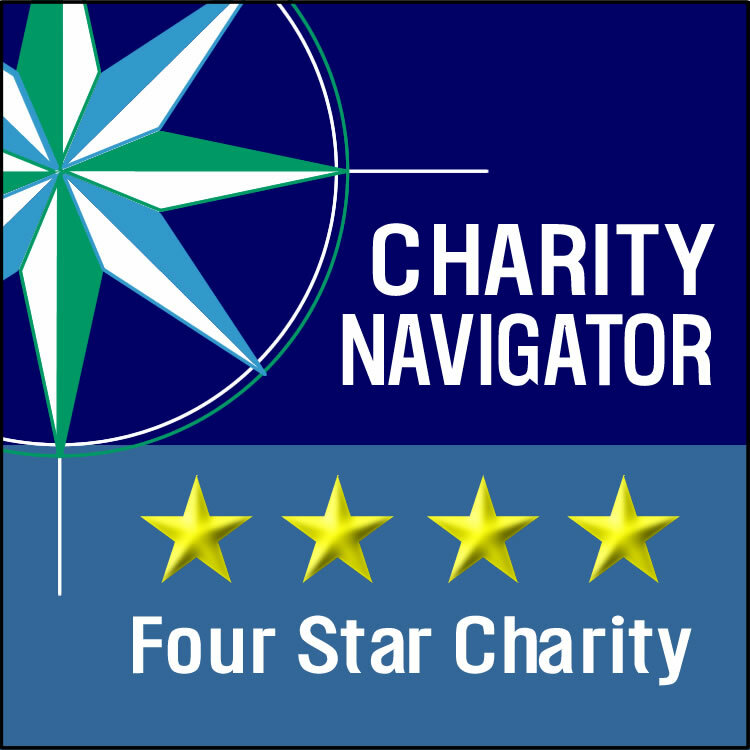 Through our advocacy, we have been able to help make the change to a new normal much easier. Help is here for Mississippians with diabetes! 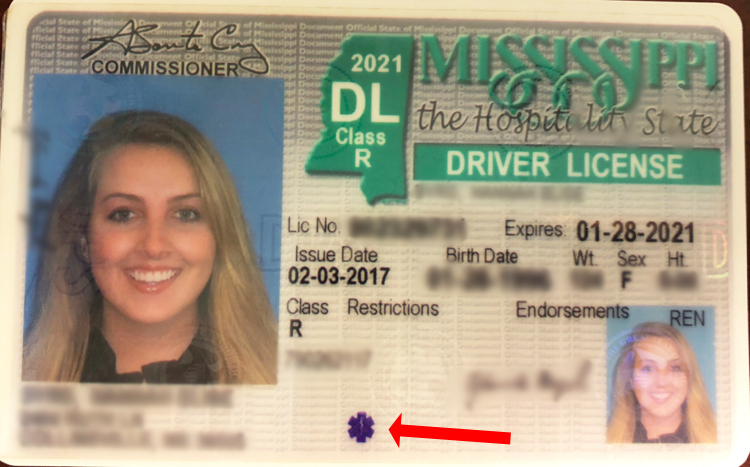 Thanks to a joint effort of the Mississippi Legislature, the State Tax Commission and the Diabetes Foundation of Mississippi, our license plate was launched in August of 2002 for people with diabetes. The DFM’s car tag helps alert law enforcement personnel when a driver may be experiencing a hypoglycemic episode and, consequently, driving erratically. The diabetes license plate signals to emergency personnel that the driver has diabetes, which, ultimately, could help save a life. There is no additional charge beyond your regular registration, taxes and fees for the license plates if the car title is in the name of the driver who has diabetes. However, if the title is in someone else’s name, but the person with diabetes is the primary driver of the car, there is a charge of $31.00 for a diabetes license plate. Car tag prices may vary depending on the county. 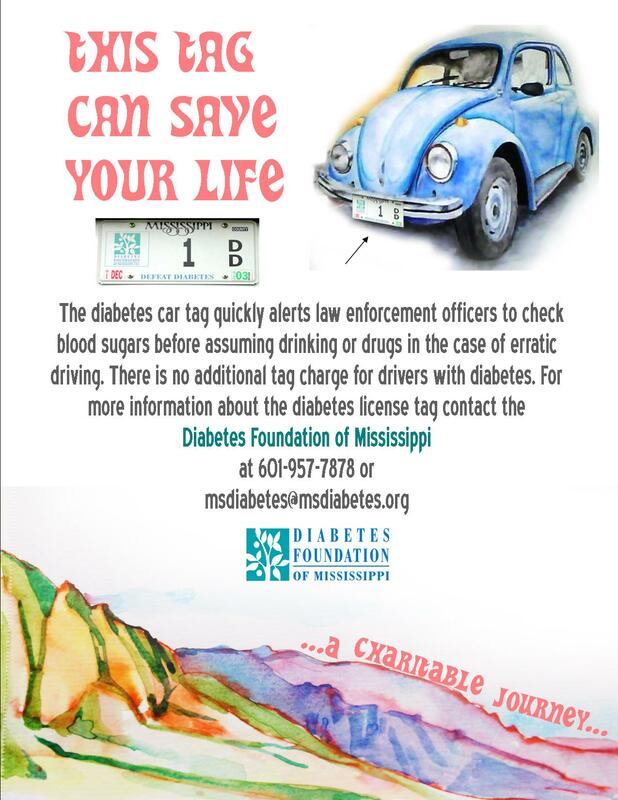 The Diabetes Foundation of Mississippi provides a free in-service program to all law enforcement officials statewide. Law enforcement officials receive training on how to recognize diabetic emergencies and how to respond to the driver’s actions. In addition, law enforcement personnel are educated on hypoglycemia. The program also aims to inform the law enforcement personnel about medic-alert identification, diabetes license plates and special coded driver’s licenses, as well as different diabetes medications and supplies and the symptoms of hyperglycemic and hypoglycemic episodes. Is it drinking, drugs, or diabetes? Low blood sugar (hypoglycemia) symptoms often mimic impairment caused by alcohol or drugs because the brain is not receiving the fuel it needs to operate properly. There are cases where individuals have been incarcerated for "drunk driving" when they should have been hospitalized. Give patients glucose gel and transport to nearest emergency room. Half a can of regular soda can be given if no gel is available and if patient is able to swallow.